Are you prepared? 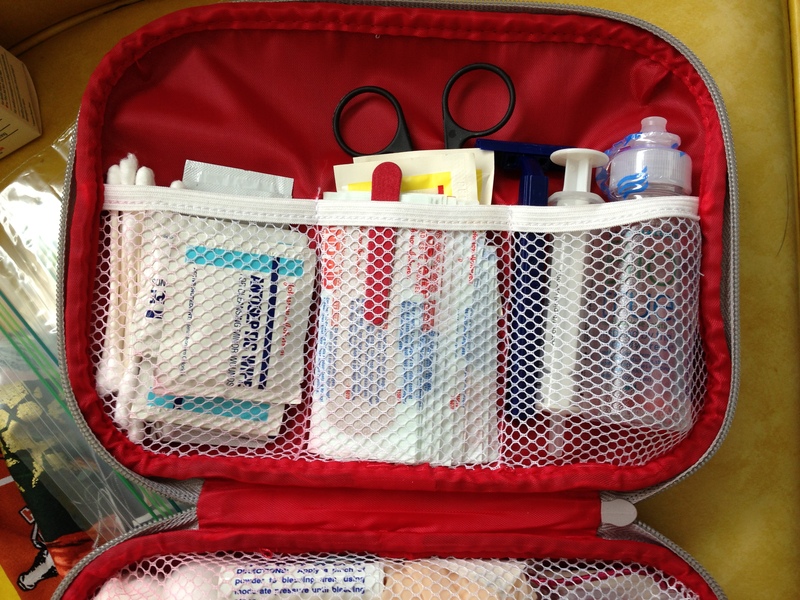 Do you carry a 1st aide kit? Does it have products for both you + your dog? Do you know what to do if you need to perform CPR on your animal? I recently asked myself these questions and thankfully nothing prompted it. 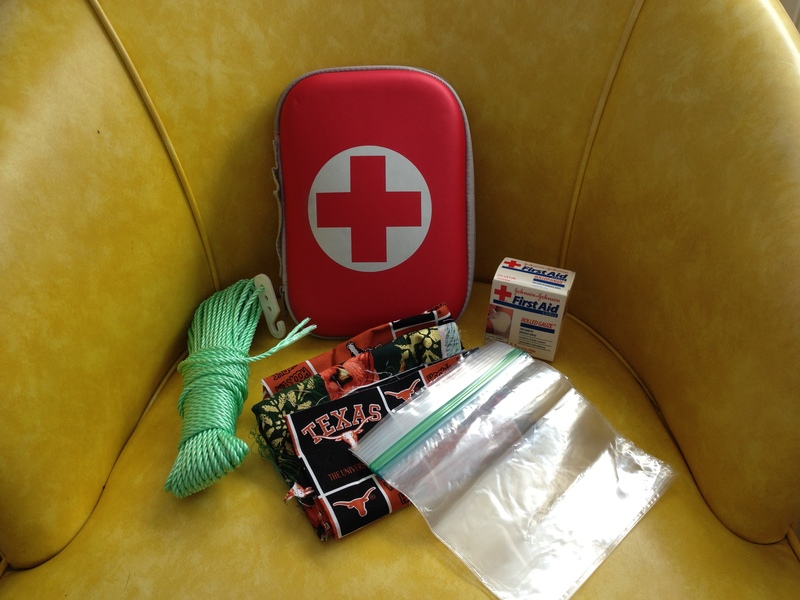 I began to assemble a Doggie/Person 1st aid kit for our hikes and educated myself on what to do in the event of an emergency to myself or Asher. 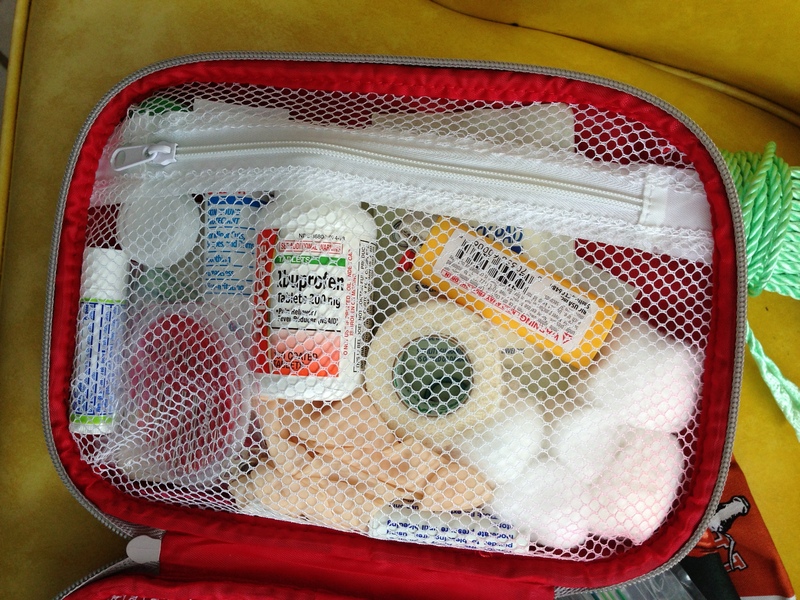 [I pray I will never have to use any of the information I have acquired] My First Aid Kit, was bought at Target this past summer, and I have slowly been filling it. As you can see not everything fits inside. Some things are simply in my backpack. But the smaller items are organized inside the pouches in the kit. Asher usually carries the red kit inside his Ruffwear Approach backpack, along with his own water, bowl, treats and a ball. He carries around 10 lbs currently. Now, I don’t have all these in my First Aid Kit, but I have what I feel I would most like need. And since none of our hikes are no more than 2-3 hours, there is always the security of making it to the car and to the vet. The information for this post came from several sources, the main ones; The Practical Dog Owner’s Handbook by McGreevy, and Dog Lover’s Daily Companion by Wendy Nan Rees and Kristen Hampshire.